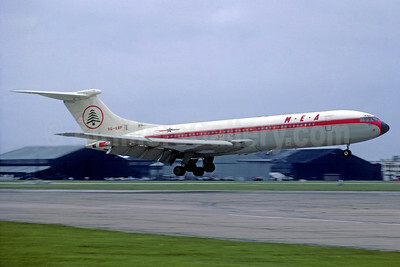 (Air Liban) (ME/MEA) (Beirut) 1965 - Current. Photos. Framable Color Prints and Posters. Digital Sharp Images. Aviation Gifts. Slide SHows. 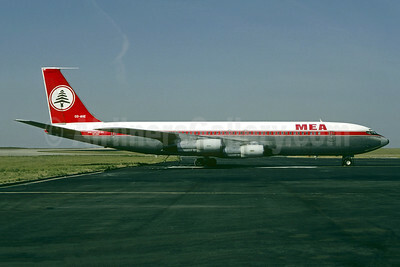 MEA (Middle East Airlines) (Ghana Airways) Vickers VC10-1102 9G-ABP (msn 824) LHR (Jacques Guillem Collection). Image: 937772. 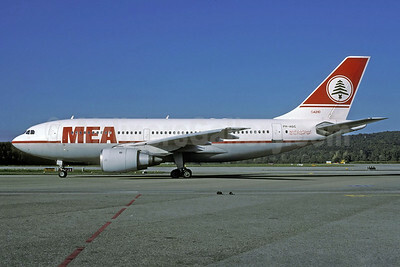 MEA (Middle East Airlines) (KLM Royal Dutch Airline) Airbus A310-203 PH-AGC (man 248) ZRH (Rolf Wallner). Image: 922138. 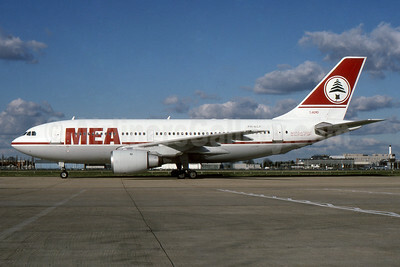 MEA (Middle East Airlines) (KLM Royal Dutch Airline) Airbus A310-203 PH-AGF (msn 297) LHR (SPA). Image: 937318. 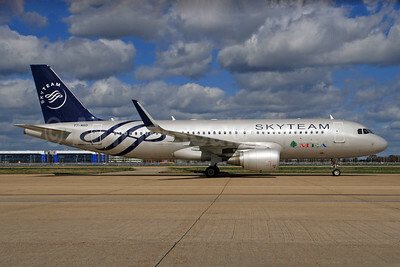 MEA (Middle East Airlines) Airbus A320-214 WL F-OMRD (msn 5746) (Sharklets) (SkyTeam) LHR (Antony J. Best). Image: 913808. 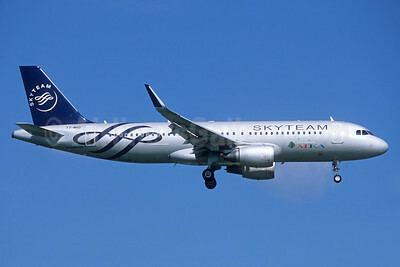 MEA (Middle East Airlines) Airbus A320-214 WL T7-MRD (msn 5746) (SkyTeam) (Jacques Guillem Collection). Image: 932310. 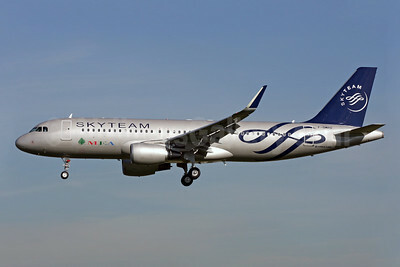 MEA (Middle East Airlines) Airbus A320-214 WL T7-MRD (msn 5746) (SkyTeam) LHR (SPA). Image: 927067. 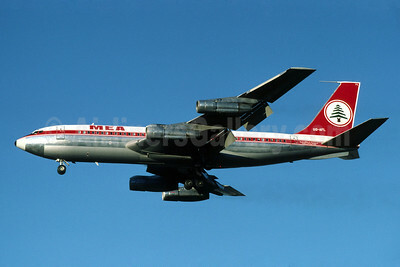 MEA (Middle East Airlines) Boeing 707-3B4C OD-AFD (msn 20259) ATH (Christian Volpati Collection). Image: 920558. 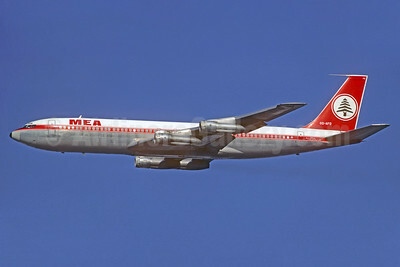 MEA (Middle East Airlines) Boeing 707-3B4C OD-AFE (msn 20260) ORY (Christian Volpati). Image: 924742. 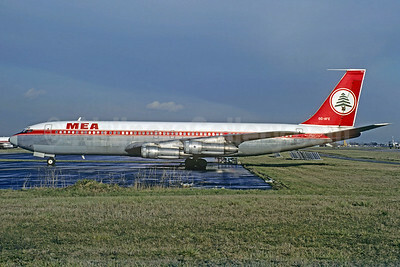 MEA (Middle East Airlines) Boeing 707-323C OD-AHE (msn 19516) CDG (Christian Volpati). Image: 907669. 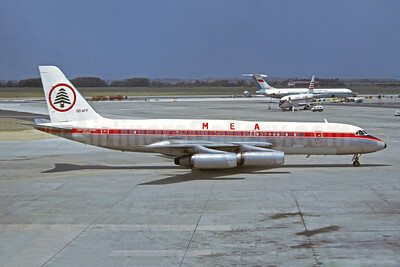 MEA (Middle East Airlines) Boeing 720-023B OD-AFL (msn 18034) LHR (Richard Vandervord). Image: 901606. MEA (Middle East Airlines) Boeing 720-023B OD-AGB (msn 18021) ORY (Christian Volpati Collection). Image: 935703. 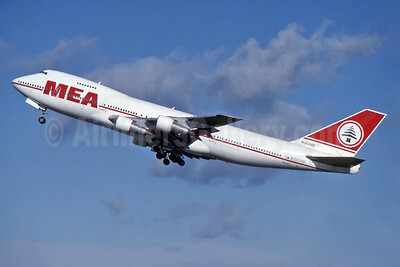 MEA (Middle East Airlines) Boeing 747-2B4B N202AE (msn 21097) LHR (SPA). Image: 929832. 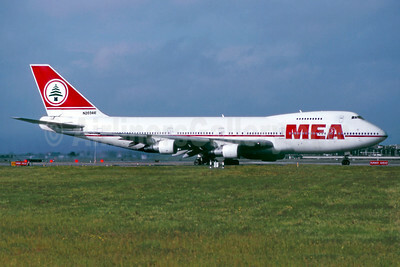 MEA (Middle East Airlines) Boeing 747-2B4B N203AE (msn 21098) LHR (SM Fitzwilliams Collection). Image: 910318. 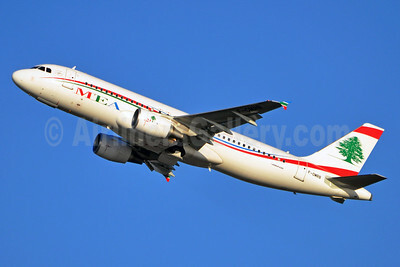 MEA-Middle East Airlines-Air Liban Airbus A321-231 OD-RMI (msn 1977) FRA (Bernhard Ross). Image: 928945. 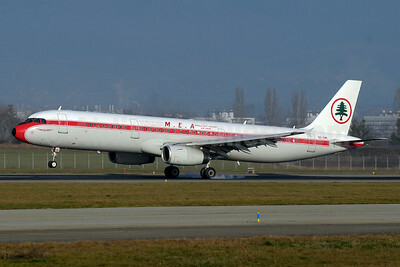 MEA-Middle East Airlines-Air Liban Airbus A321-231 OD-RMI (msn 1977) GVA (Paul Denton). Image: 935702. 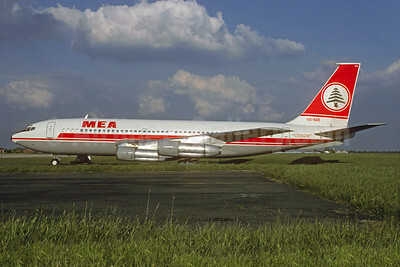 MEA-Middle East Airlines - Air Liban Convair 990-30A-5 OD-AFF (msn 18) FCO (Christian Volpati Collection). Image: 946179. 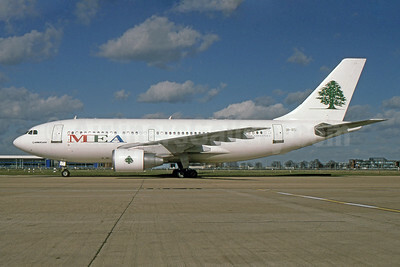 MEA-Middle East Airlines Airbus A310-222 3B-STJ (msn 350) LHR (SPA). Image: 930861. 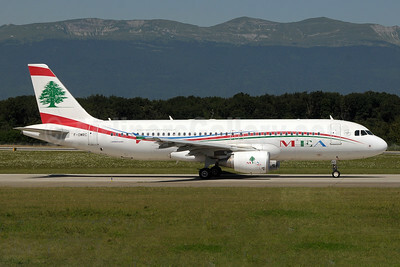 MEA-Middle East Airlines Airbus A320-214 F-OMRB (msn 5152) BRU (Karl Cornil). Image: 910515. 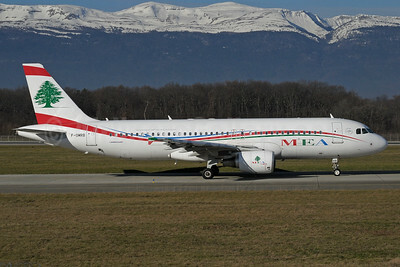 MEA-Middle East Airlines Airbus A320-214 F-OMRB (msn 5152) GVA (Paul Denton). Image: 920559. 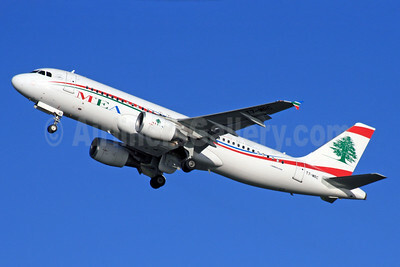 MEA-Middle East Airlines Airbus A320-214 F-OMRB (msn 5152) LHR (Rolf Wallner). Image: 909952. 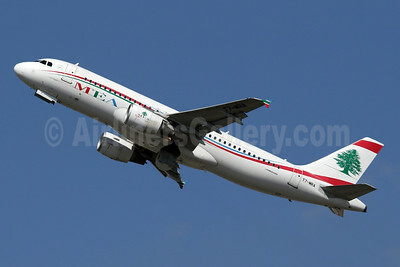 MEA-Middle East Airlines Airbus A320-214 F-OMRC (msn 5253) GVA (Paul Denton). Image: 932309. 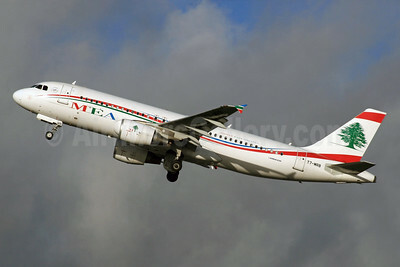 MEA-Middle East Airlines Airbus A320-214 T7-MRA (msn 5162) LHR (SPA). Image: 941760. 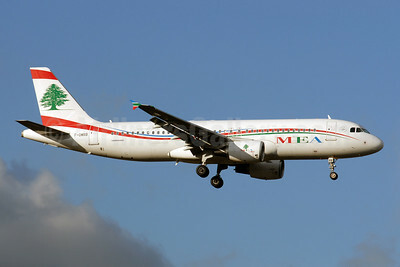 MEA-Middle East Airlines Airbus A320-214 T7-MRB (msn 5152) LHR (SPA). Image: 930905. 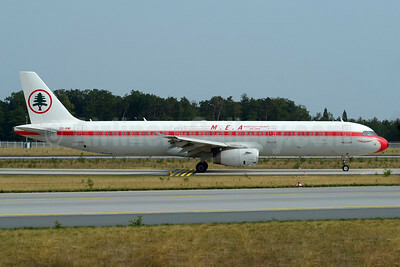 MEA-Middle East Airlines Airbus A320-214 T7-MRC (msn 5253) LHR (SPA). Image: 927069.